Described as deceptively simple, but insanely fun — fast-paced strategy card game Hearthstone has lived up to that promise for millions of players who turn to their phones and tablets for a Magic: The Gathering-like world. GeekGirlCon talked to Seattle e-sports startup RumbleMonkey Marketing Director Sammy Witness about how her company works to empower women, femmes, non-binary/gender nonconforming individuals in competitive and casual play of the popular game. 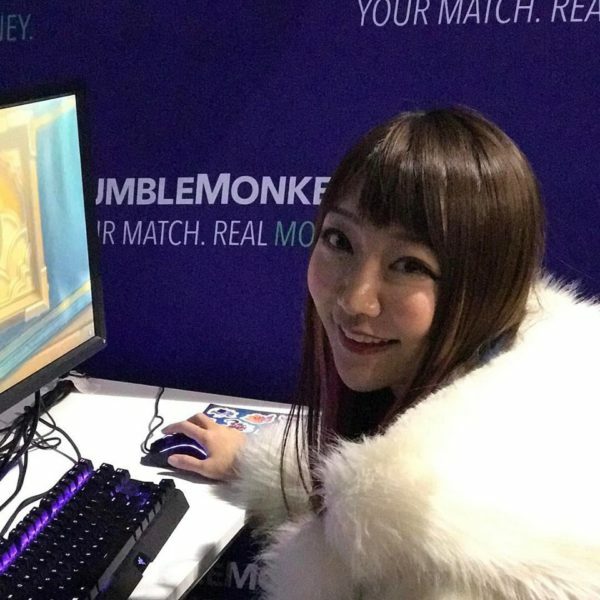 Sammy Witness is passionate about enhancing gaming experiences and making sure RumbleMonkey’s bi-weekly Hearthstone meetups are a safe and welcoming space for all people. Check out our Q&A with Sammy below! GeekGirlCon: Blizzard Entertainment announced that Hearthstone hit a milestone this spring with 70 million active players. Can you tell us what makes Hearthstone such a captivating game? 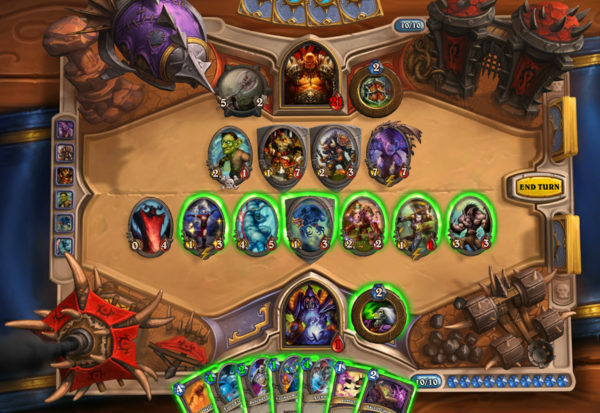 Sammy: Hearthstone accomplishes something that many card games have failed to do, and that’s appeal to a crowd that is primarily not familiar with the card game genre. Through a combination of its streamlined interface, mechanics, friendly art style, and free-to-play model, Hearthstone succeeds in drawing in players who have wanted to break into the genre but haven’t quite found the best way to do so. It’s also extremely fun to play both casually and competitively! GeekGirlCon: RumbleMonkey holds a Hearthstone meet-up each month in Seattle’s Capitol Hill neighborhood. Why do you think the game has such a strong community in Seattle? 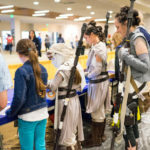 GeekGirlCon: What does RumbleMonkey do to help empower women, femmes, non-binary/gender nonconforming individuals in Hearthstone and the esports community? Sammy: We are 100% committed to democratizing eSports to ALL gamers. If you’re a female and you want to video games for real money, you go girl! Esports is just as much a space for women as it is for anyone. When I first started, I noticed a lot of marketing materials coming across my desk from other gaming companies were completely missing data for female demographics. I made it a point to request equal representation if we were going to work together. From the get-go, our service and marketing have always been purposely gender neutral. When it comes to sponsoring players, we reach out to as many women as men. 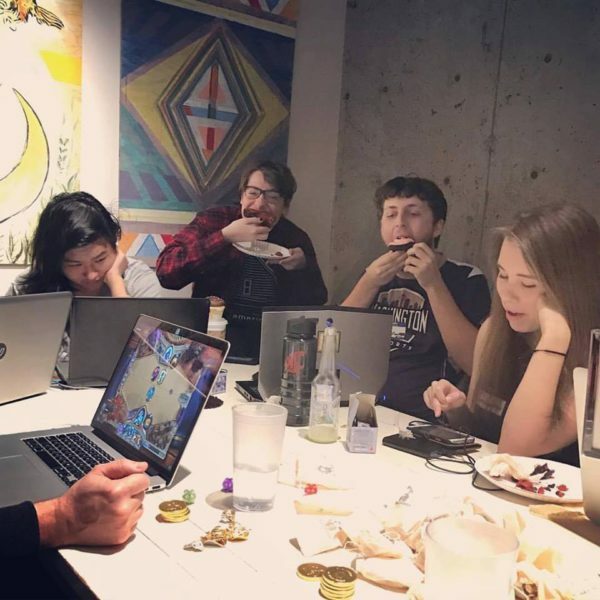 Our Hearthstone meetups are a safe and welcoming space for all people. As a company, we hire based on merit and we can proudly say that currently half of our team identifies as female. GeekGirlCon: RumbleMonkey allows players to use real money in the game. Can you explain how this feature enhances the game? Sammy: Playing for real money gives players a greater incentive to focus and play at the top of their game. When there’s money on the line you find yourself double and triple checking all the decisions that you normally wouldn’t consider in a regular game, as you consider how every action will affect the coming turns. A victory becomes even sweeter when you are rewarded for your careful considerations and skills! Additionally, we’ve found that streamers are some of the most excited to incorporate money matches into their streams because it adds an extra level of entertainment value. Pros have also expressed interest in using the service to make extra money while practicing for tournaments. GeekGirlCon: What’s your best advice for someone starting to play competitively in Hearthstone? And for long-time Hearthstone players? Sammy: Playing competitively takes a very different mindset from playing the game casually. You must be focused on improvement, with every game providing a new opportunity to build your skills and learn from past mistakes. No decision is inconsequential! For veteran players, it can be difficult to change your gameplay habits from what you’ve grown accustomed to after many hours of play. Adapting to a new meta game and leaving old ideas behind can be a challenge, but it’s never too late to grow as a player. RumbleMonkey’s platform enhances gameplay by empowering users to compete against each other in contests of skill for real money. The company is working to democratize esports and give gamers of all skill levels an opportunity to earn money doing what they love with our secure and automated technology. Click here to learn more. What would you like to learn about in the gaming world? Email us here and we may pick it up for a blog post. Check out our June blog post from our gaming team here.